We have included a lovely 18-inch helium balloon perfect for celebrating their 30th birthday. 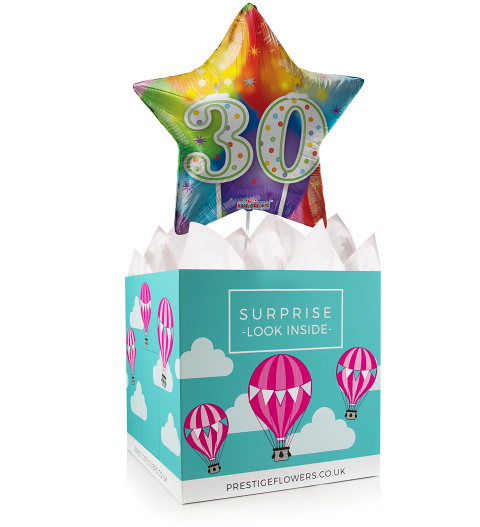 We have paired this balloon with a colourful gift box lined with tissue paper. Take your pick from our selection of optional extras such as chocolates, cake, wine, and cuddly bears. Make sure that you also include a personal birthday wish!